LITTLE ATHLETICS: Athletes from Granite Belt Little Athletics will be representing their club this weekend at the 2018 Downs and South West Regional Relays in Toowoomba on Saturday. Five athletes from the club, will compete in teams of two in events including high jump relay, long jump relay, discus relay and shot put relay. "The club wishes Ethan Kent, Jacob Kent, Georgia Petrie, Hannah Petrie & Tom Petrie all the very best this weekend as they compete against other athletes from the Darling Downs and South West Region,” GBLA's Rachael Walker said. 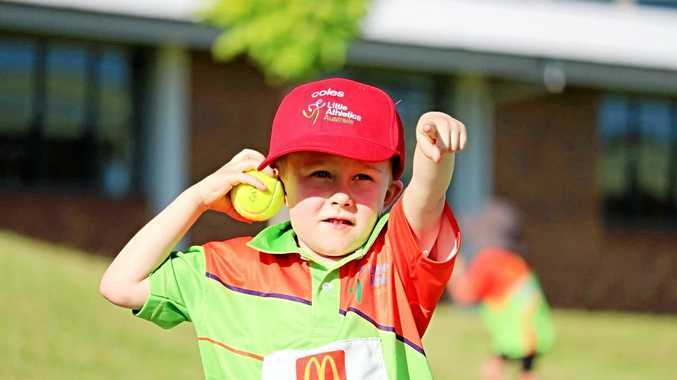 All of those involved in Granite Belt Little Athletics are well and truly in the swing of things now they are almost halfway through this year's meets. Participants are being measured for the second time in some events and can now start comparing results. "Last Saturday students were measured in shotput for the second time and the group discussed what a personal best is. "They also completed one of the favourite activities, hurdles, and the joy could be seen on the faces of those that no longer knock over a hurdle. "The athletes also attempted triple jump for the first time and enjoyed learning a new skill,” Rachael said. The athletes were timed in a middle distance run, such as 500m or 800m, and most can now compare those times. 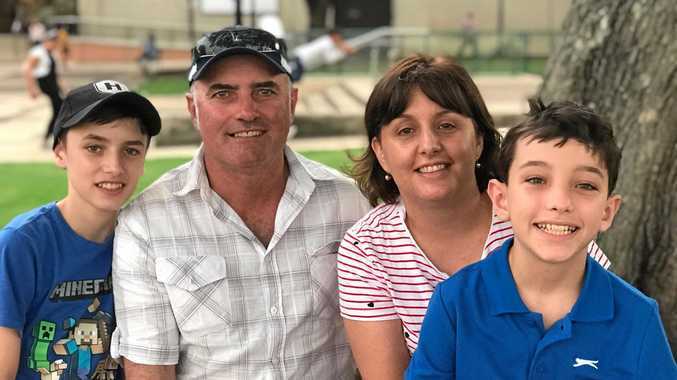 "When I was coaching middle distance, I did receive a few comments from the children regarding an improvement in their times,” organiser/coach Toni Jackson said. "They described how they were finding the middle distance event (in particular the 800m event) a little bit easier than when they last did it back in September. Children and adults had to keep cool through all of these efforts, with temperatures rising quick. "The club would like to remind parents to please keep sending the children with their numbers sewn or at least pinned on the front. This is required for a number of reasons. "Also, as always, the committee would like to thank the volunteers, without which little athletics could not run,” Toni said.